This is a wonderful mascot of a male Greek figure in historical attire--signifying the beginnings of Western civilization. 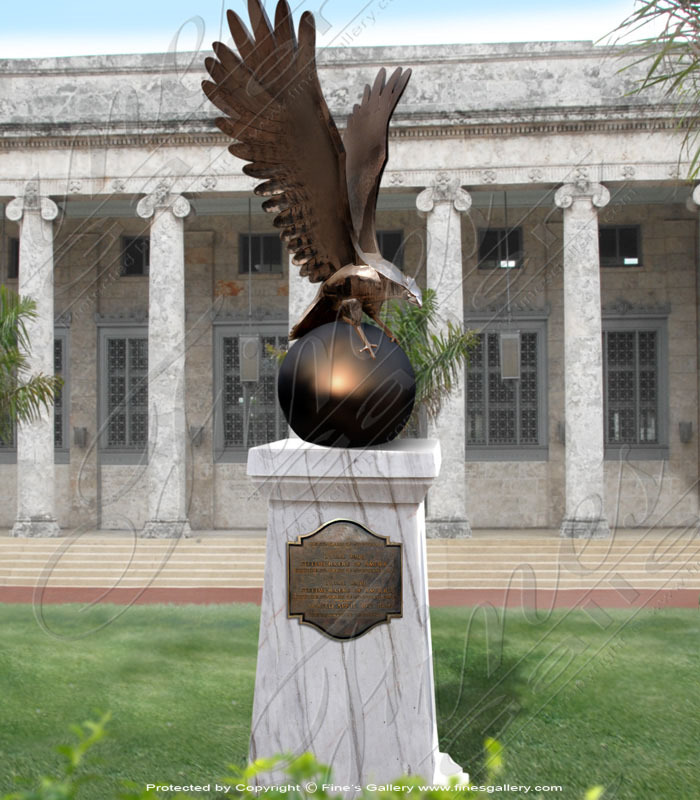 Perfect for a school or university, we offer total customization in your choice of marble color and personal inscription. 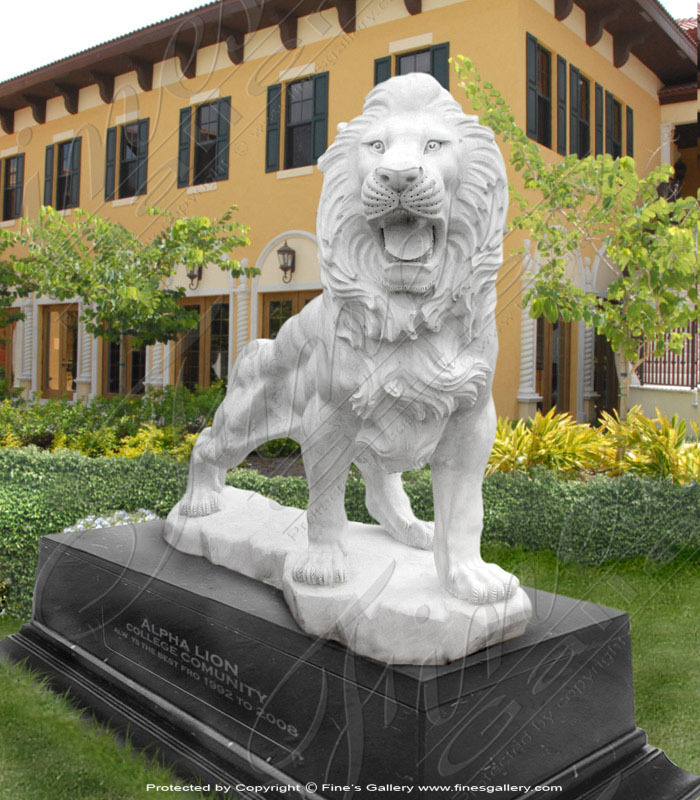 Growling fiercely, this beautiful marble mascot is a treasure that will stand the test of time. 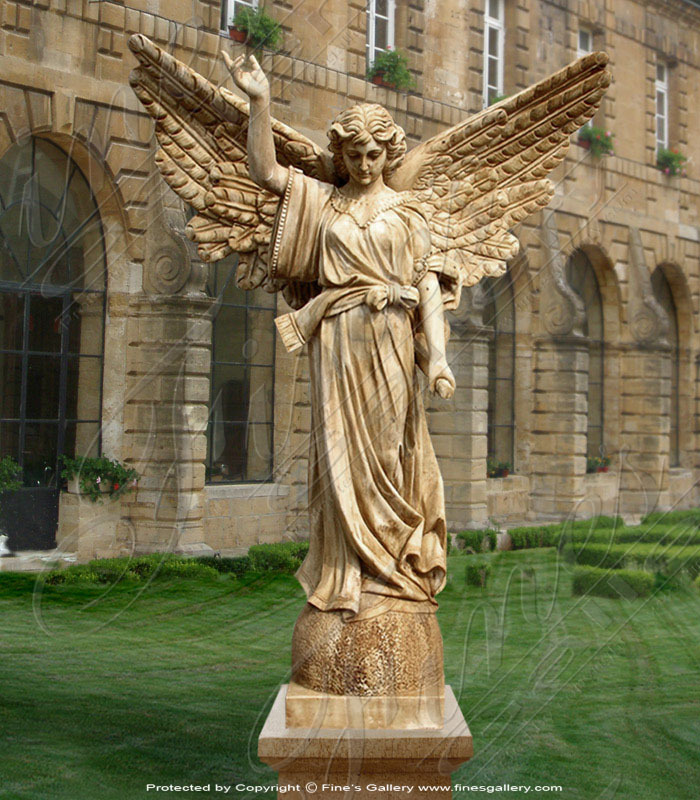 Made from our fine white marble and set upon an elaborate inscribed base, this piece is ready for courtyard display. Call or email the gallery today. 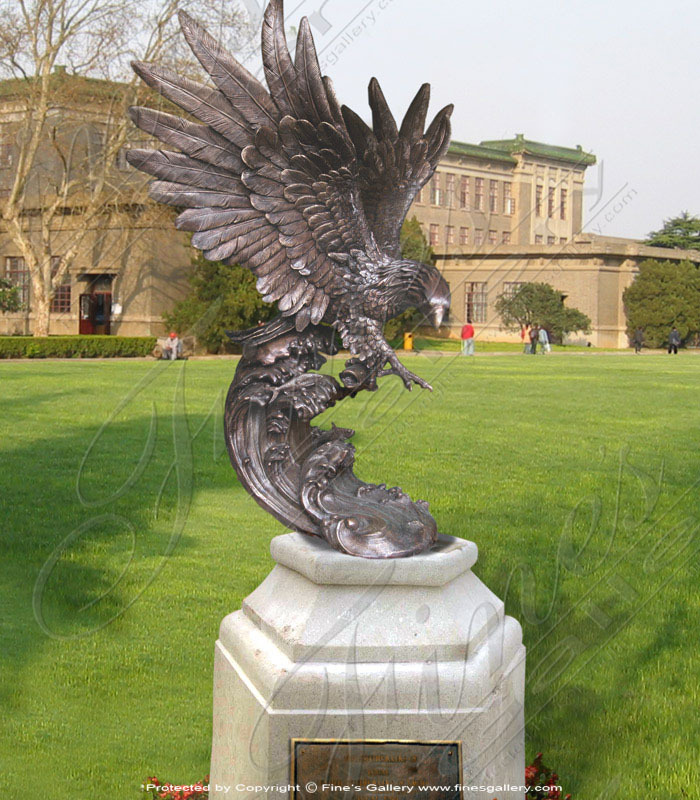 This is a gorgeous statue of a large eagle with wings majestically outspread while he stands upon a large sphere. Made from dark brown bronze and featuring a beautiful marble stand with bronze inscription piece. Contact us today for complete details. This incredible masterpiece is made from bronze and marble. 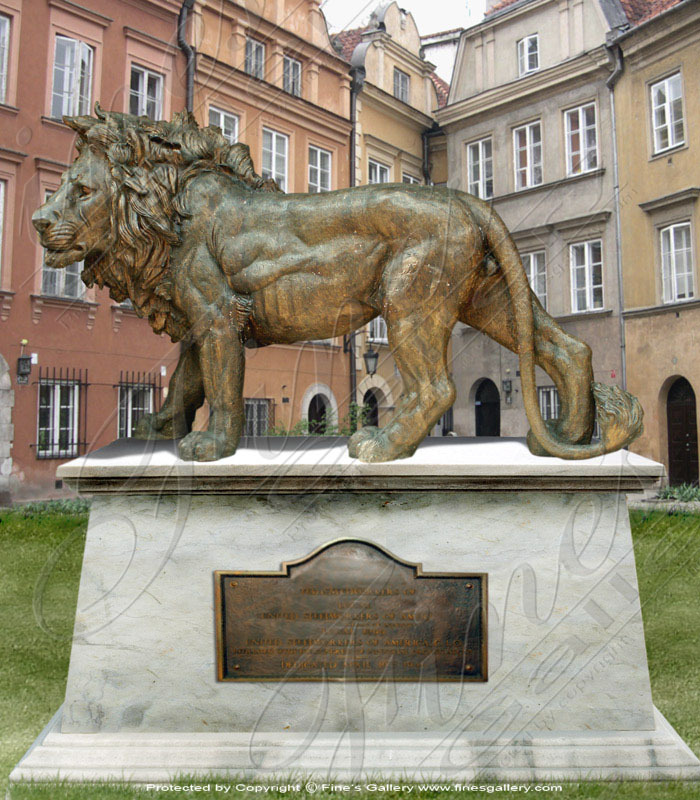 A large, majestic lion is shown in dark bronze standing upon a large marble base with bronze personal inscription piece. Perfect for a college or university. Contact us today. 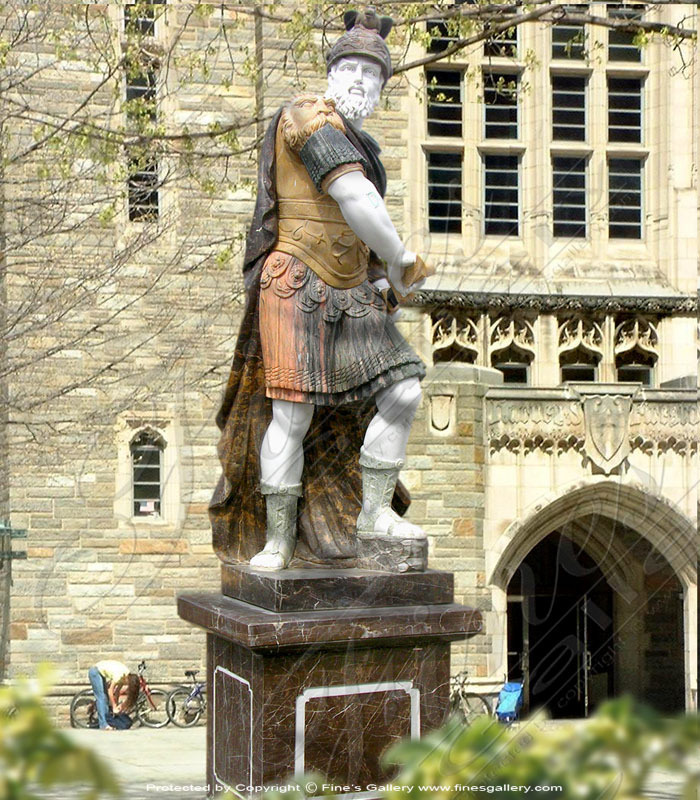 Let us create the perfect mascot for your college or university. This beautiful design is made from genuine marble in beige and tan tones. 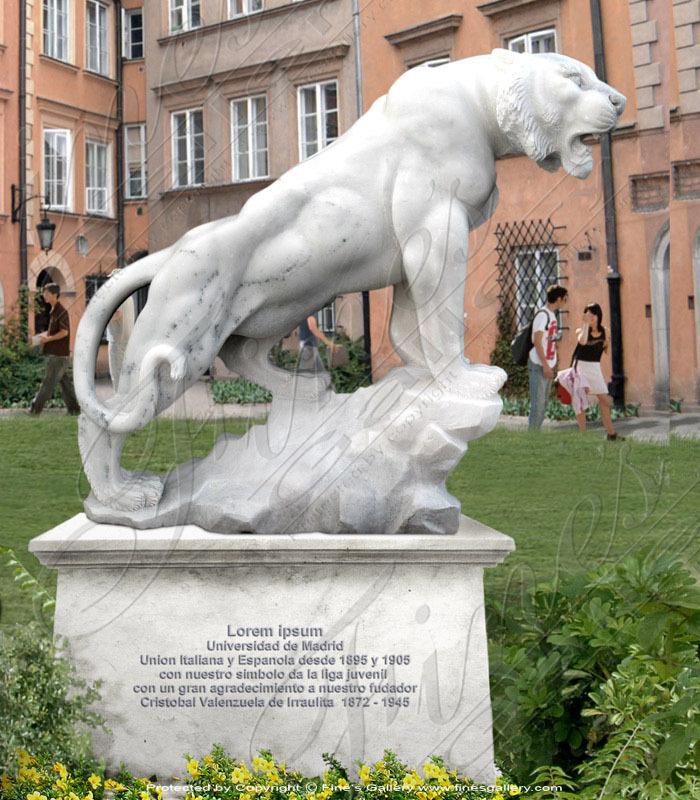 A striking marble sculpture featuring a large lion with personal inscription. Contact us today. 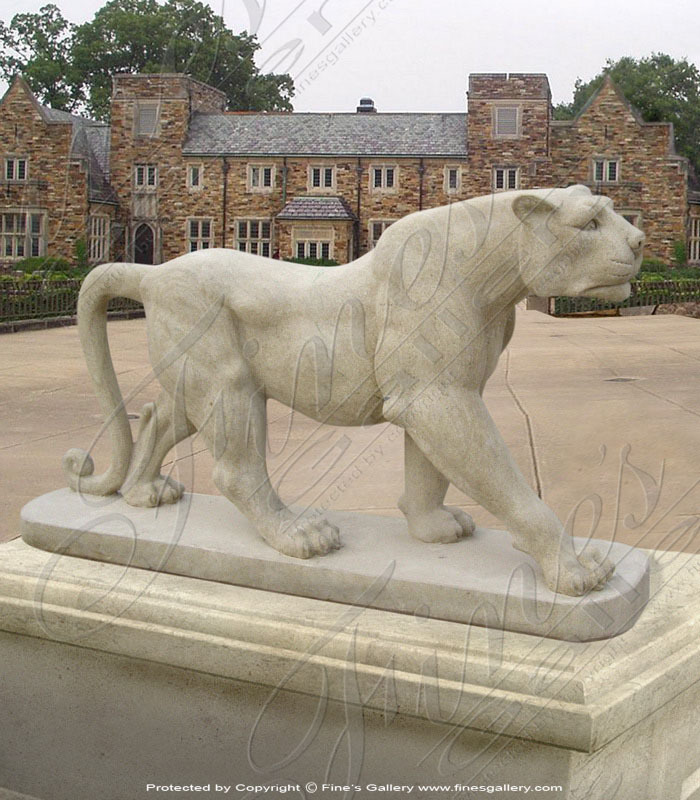 This gorgeous mascot of a fearless panther is large in size and hand carved upon order. 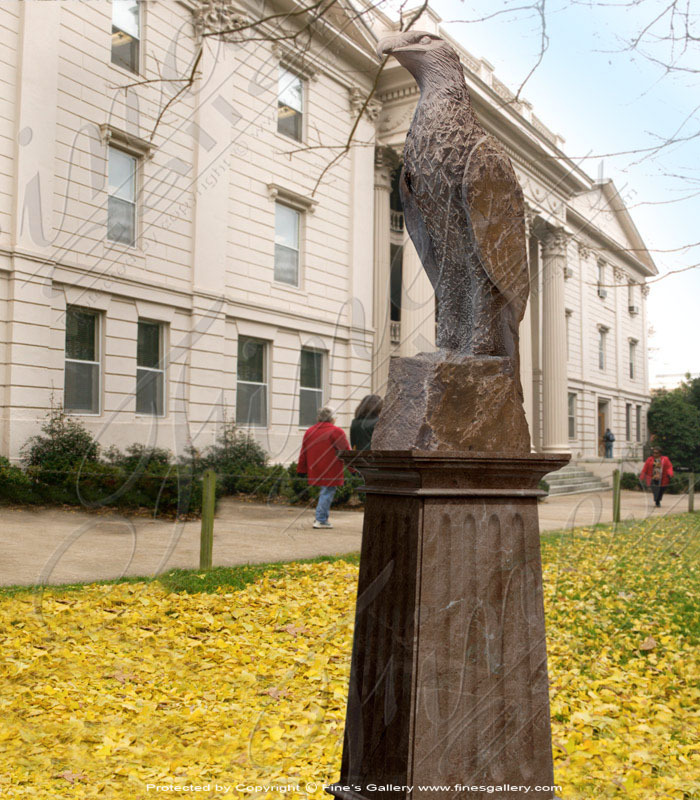 Incredibly realistic and finely detailed, it will look majestic in any courtyard. Contact us today for customization options. 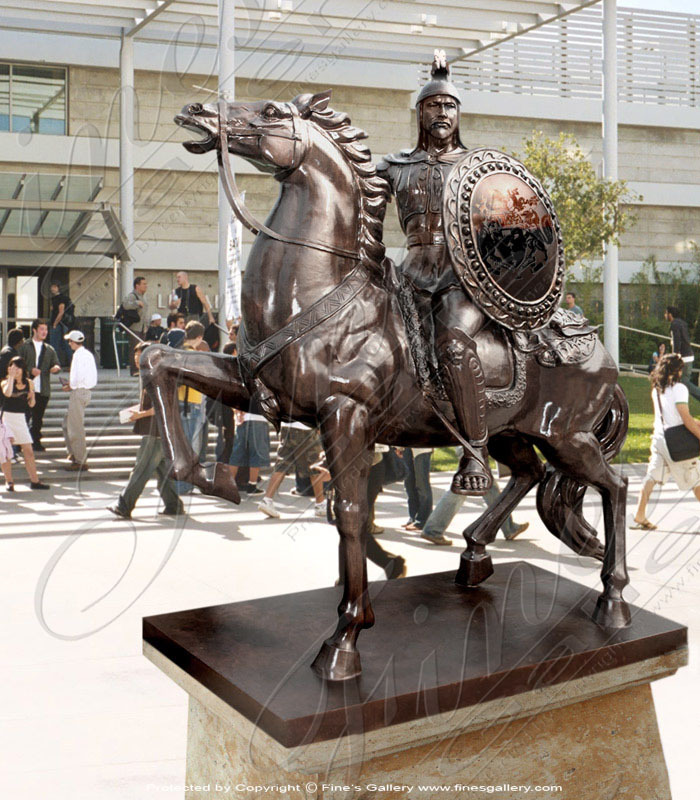 This bronze mascot is an incredible work of art featuring an ancient warrior in full costume upon the back of a furious and regal horse. Large rectangular base to give the piece additional height. Perfect for a history or art department. 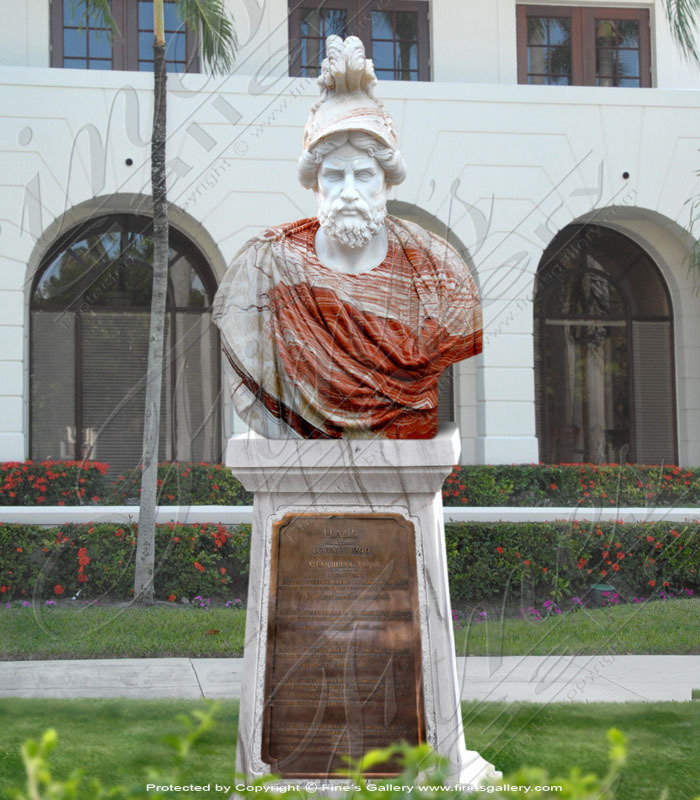 This ancient male figure symbolizes the catalysts of ancient civilization including areas of art, philosophy, and law. White marble figure draped in stunning red toned marble robes. Customize this in size, color, or personal inscription. 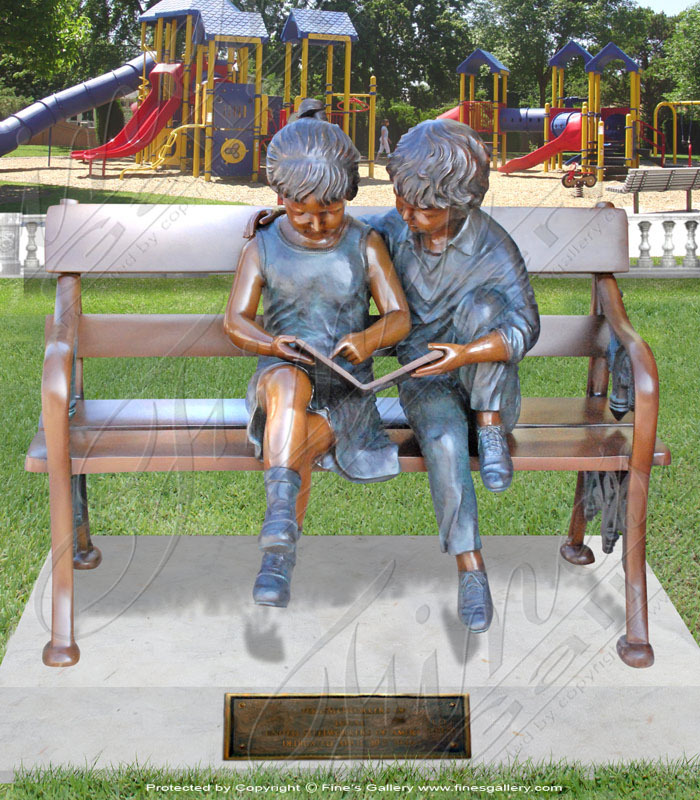 This gorgeous custom bronze mascot depicts an enchanting scene of a little boy and girl reading together upon a bench. Incredible detail within this realistic work of art, made from two popular tones of bronze. Call today to customize this piece. 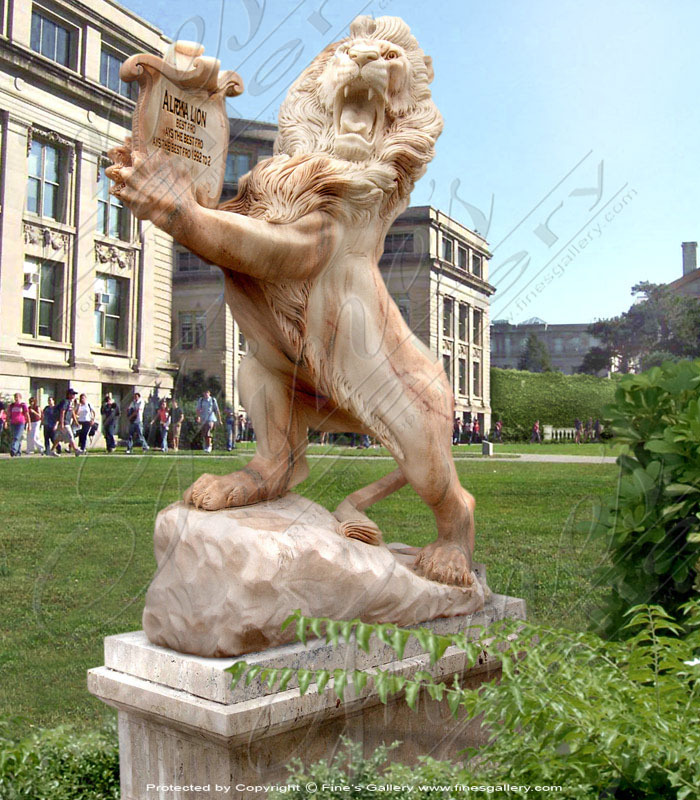 A gorgeous lion mascot to enrich the grounds of a school or university. 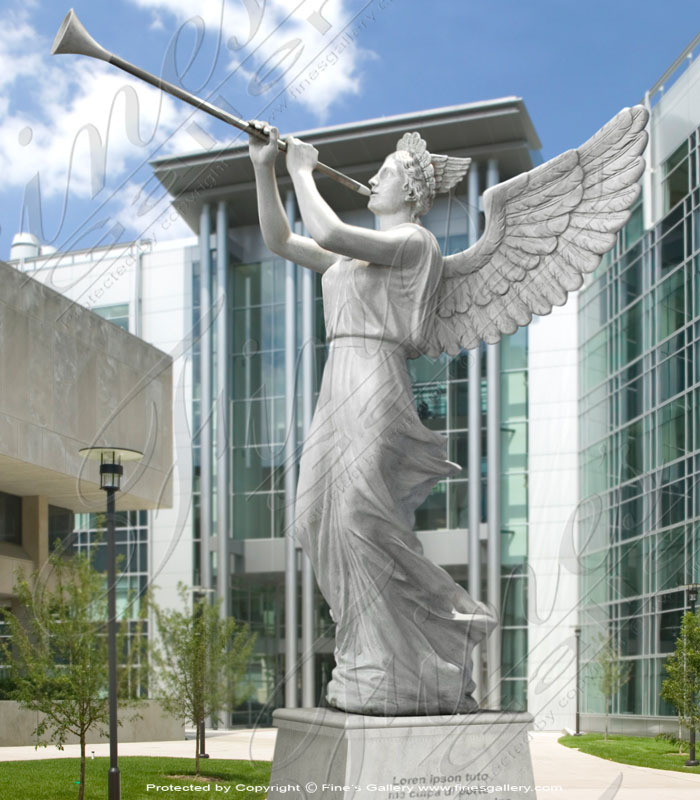 Made from pure white marble and full of meticulous and realistic detail. Let us know how we can be of assistance in customizing this to meet all your needs. Contact us today. This incredible Greek figure is finely detailed with stunning realism and shown in a rich assortment of beautiful marbles. This symbol of the beginning of Western civilization will grace the courtyards of many a college. Contact us today for more info. We offer the finest in detail and personal customization for all your needs! 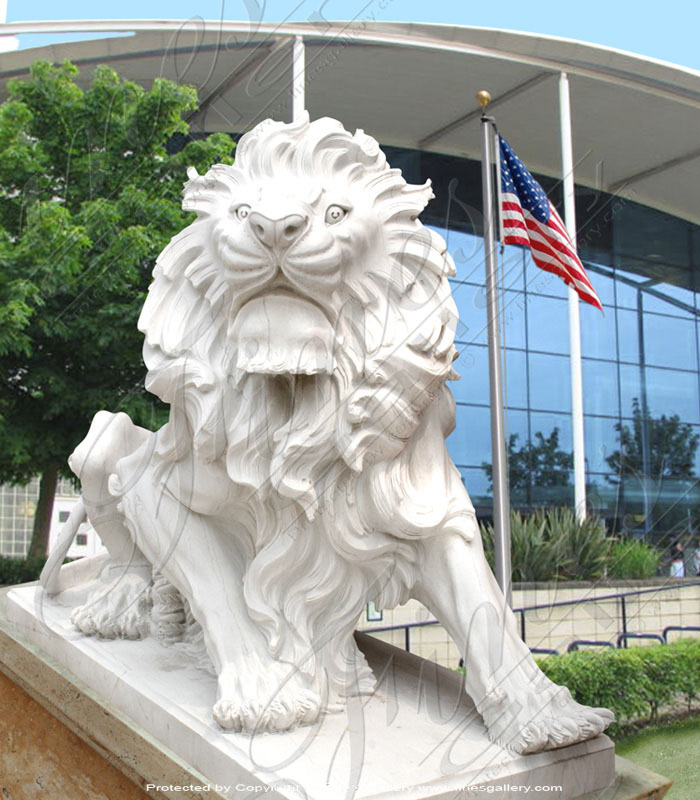 This mascot of a ferocious lion is shown in elegant white and gray marble. 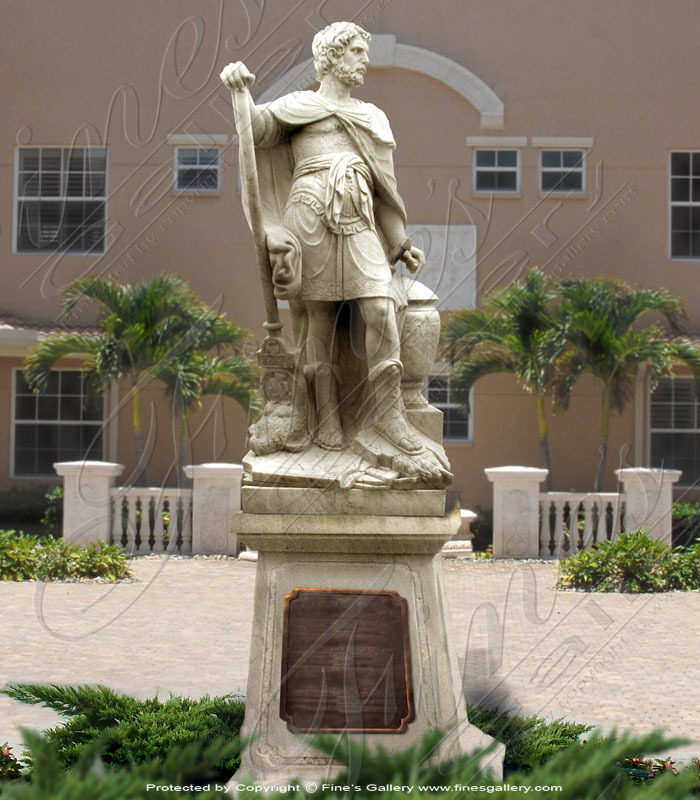 Imagine your own mascot created with our exceptional craftsmanship and fine marbles.